We have been very lucky this last week or so, we have been getting a lovely combination of rain as well as sun shine. 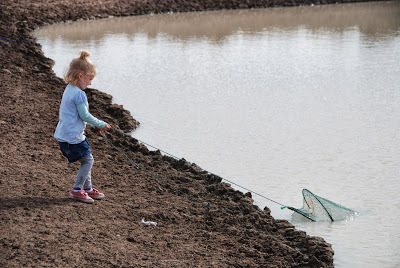 This long weekend just past saw a particularly sunny Saturday and with visitors in residence we decided to drag out the yabby traps and see if the sunshine had tempted any to the surface. We weren’t actually expecting to catch any, but we thought it would be a fun thing to do with all the kids. Lo and behold we ended up with a massive haul, more than enough to feed us all (and then some). We marinated them in garlic and butter before whacking them on the BBQ to cook. They were delicious. The kids didn’t go much on them to eat but loved the fun of throwing the traps in and then pulling them in later to see what we had caught. 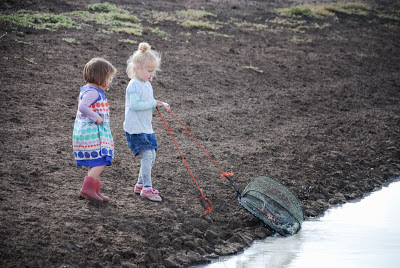 We were pleased to see lots of babies that we were able to throw back in to keep them breeding and the kids are getting more confident at pulling the traps in and getting the yabbies to hold. This entry was posted in Family, Farm, Kids Play, Photos on June 13, 2013 by nat. Oh Yum! 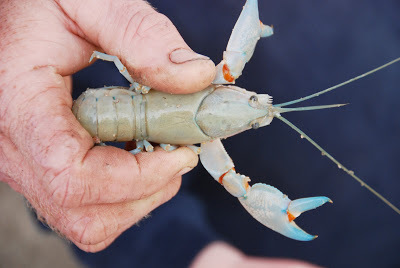 I love yabbies but you have to be lucky to catch them in winter! 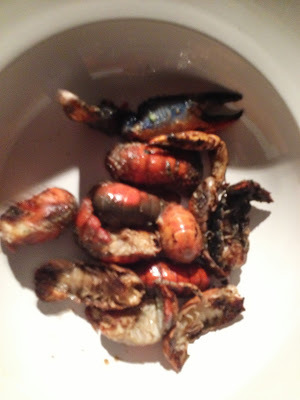 My children love the catching but (luckily for us) they won’t eat them. My favorite way to eat them is fresh out of the cooker as they are being peeled. YUM nothing better than fresh yabbies. ooh yum. Our dams were cleaned out during the drought, so we don’t have many yabbies in them. We have been planning to get some babies to stick in them so we can have more to eat!